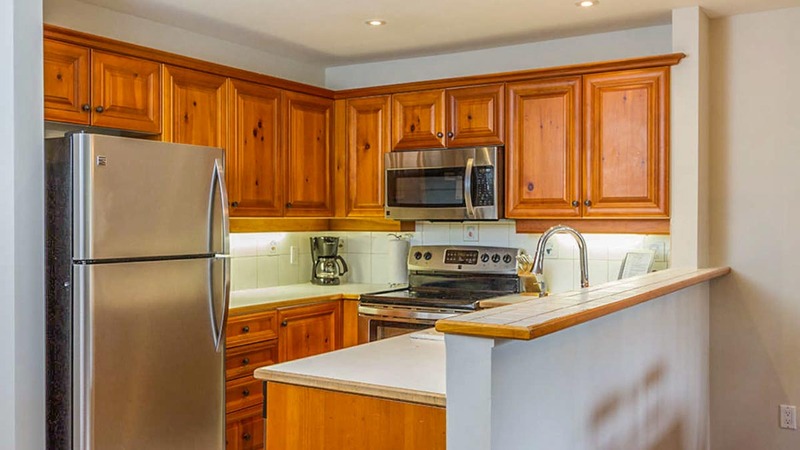 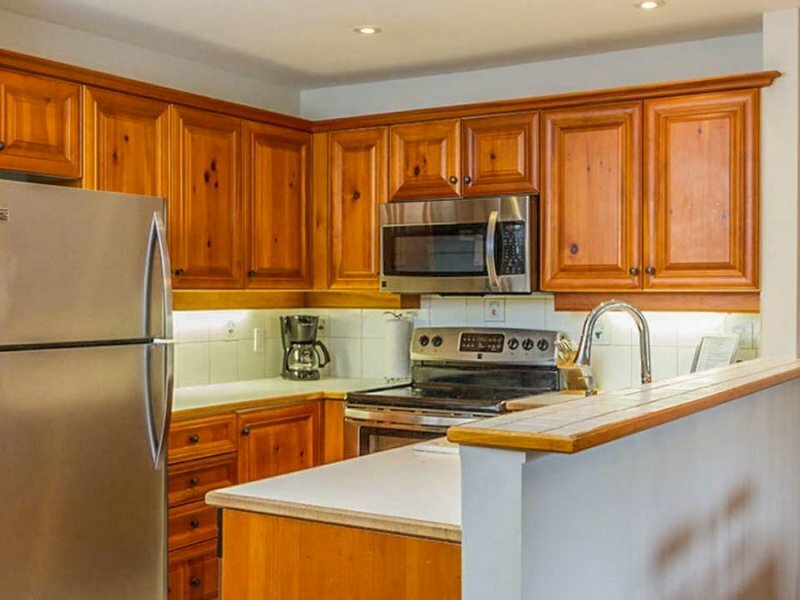 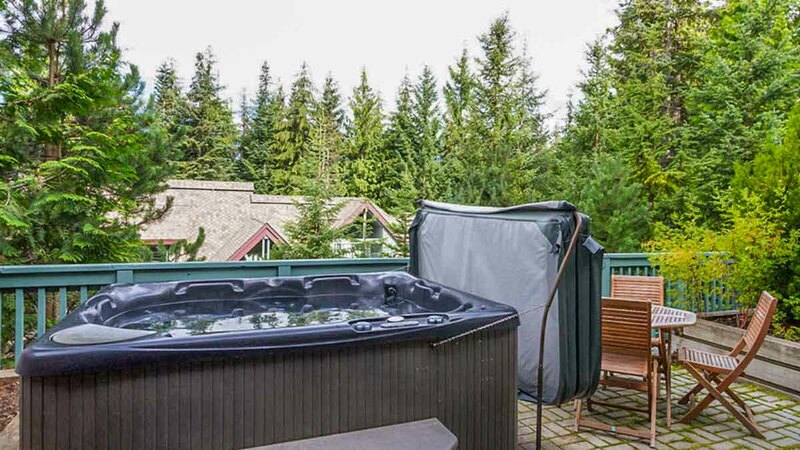 Arrowhead Point 9 is a newly upgraded single level, two bedrooms, two bathrooms townhome nestled within a forested setting on Blackcomb Mountain. Access to the ski hill is just a convenient walk or quick ride on the free shuttle, while the ski-out offers access right to your front door after a day on the slopes. 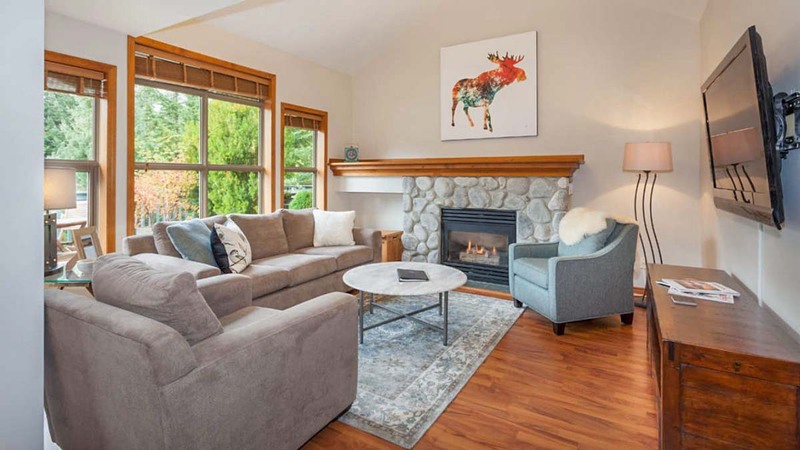 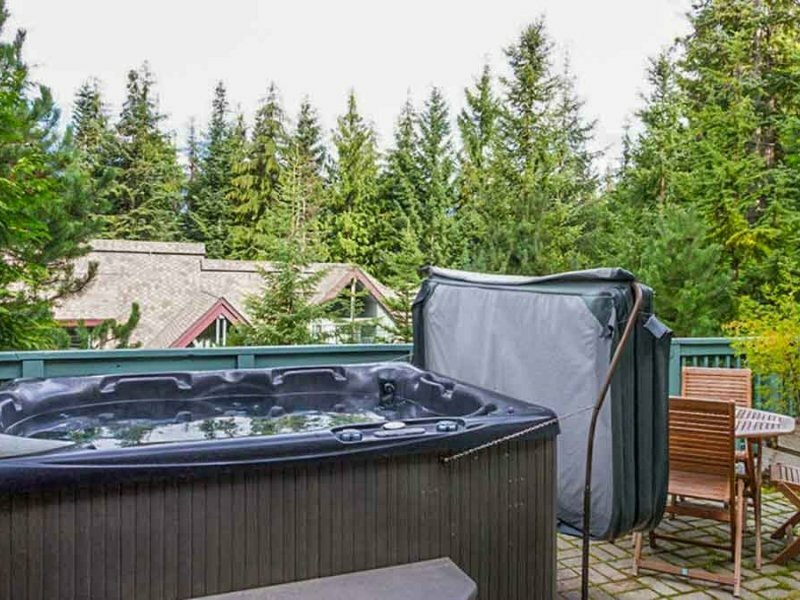 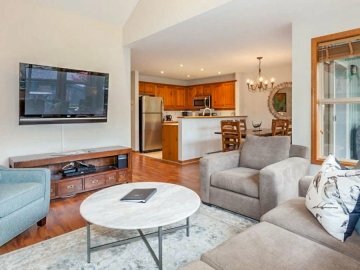 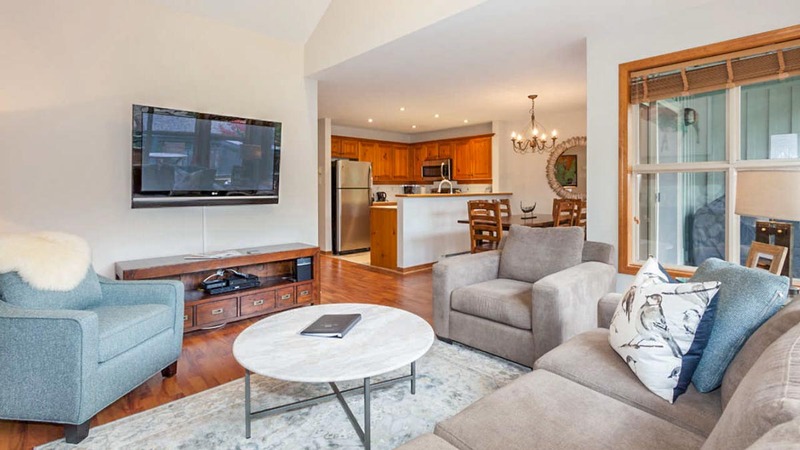 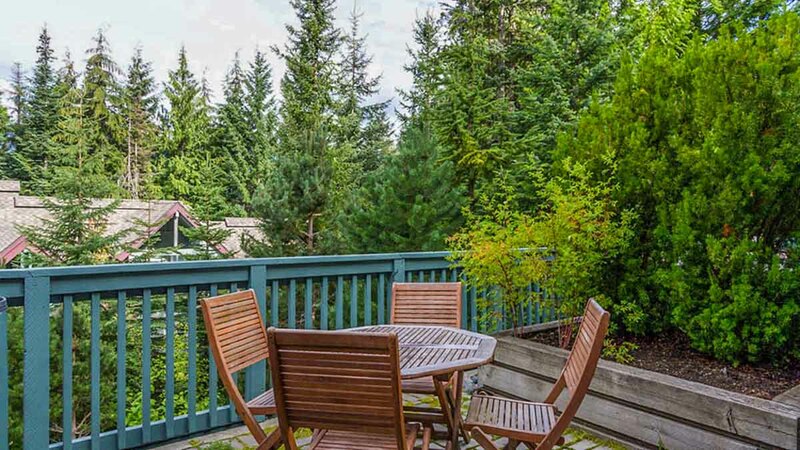 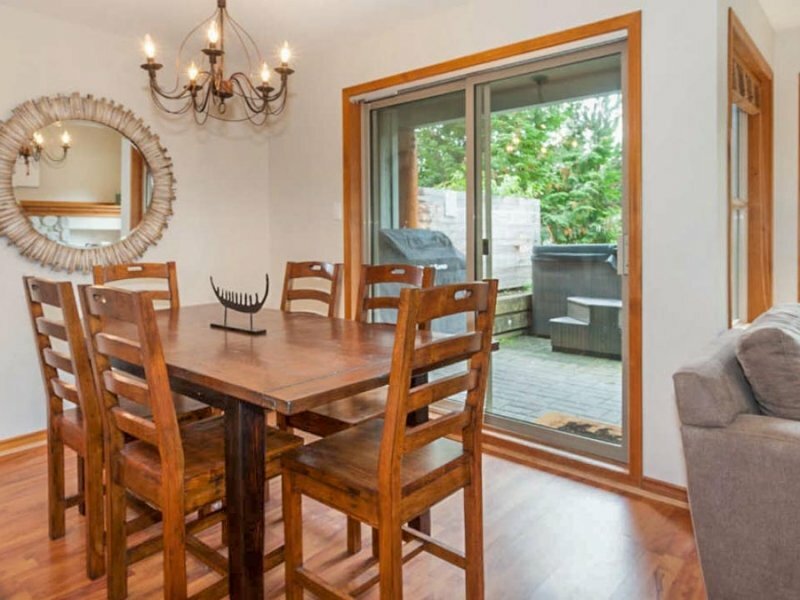 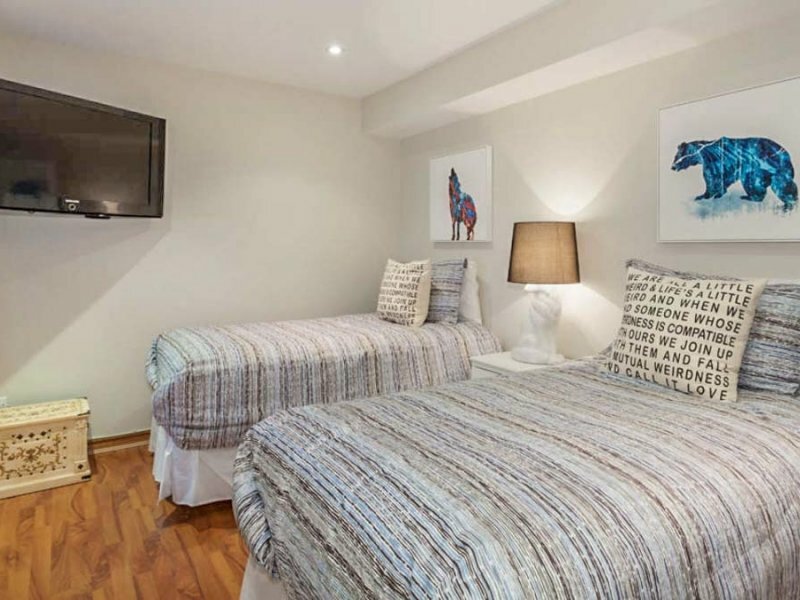 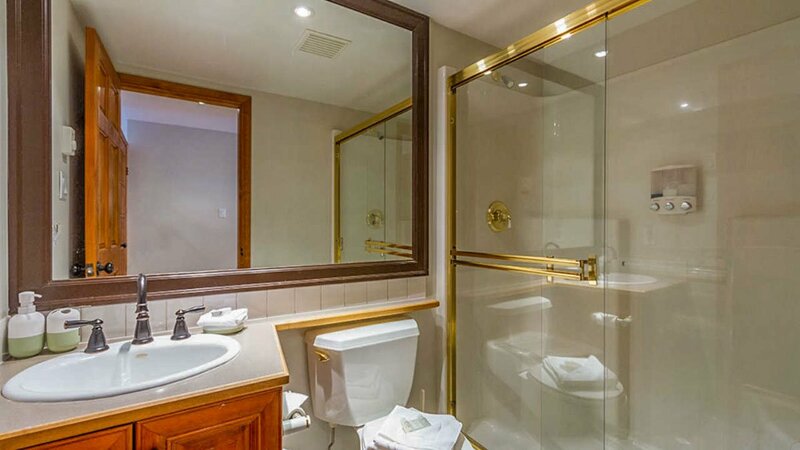 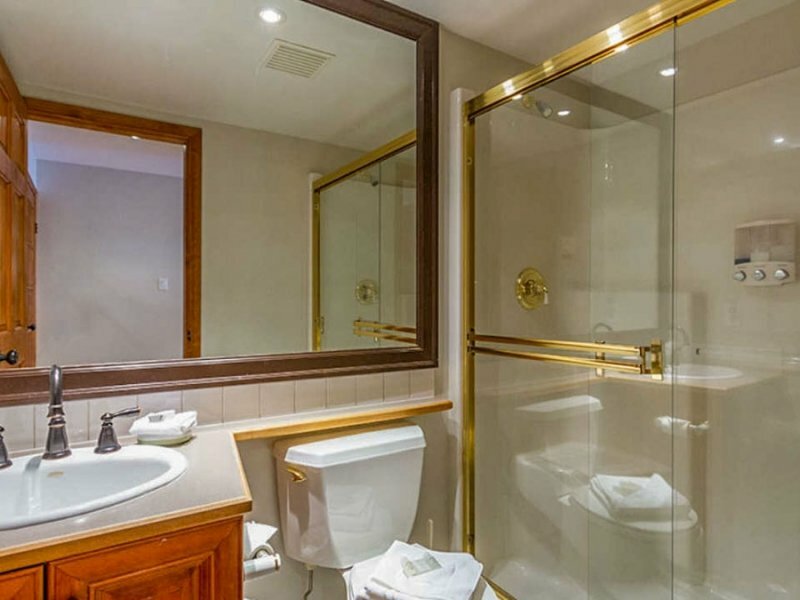 This well appointed and conveniently located townhome, minutes from Whistler Village, the Chateau Whistler Golf Course, Lost Lake Park and nearby trails, has plenty to offer our guests both in winter and summer. 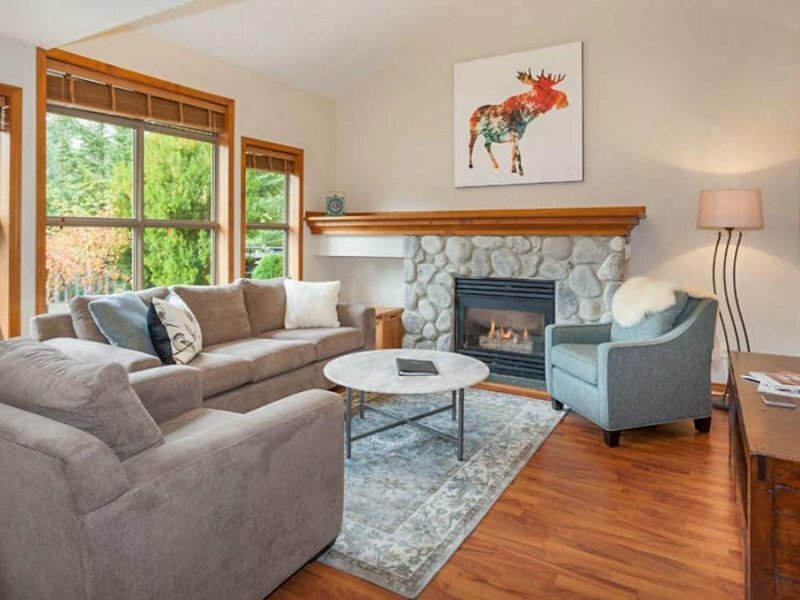 The open plan living area features a gas fireplace to cozy up next to after a day on the slopes and a large flatscreen TV. 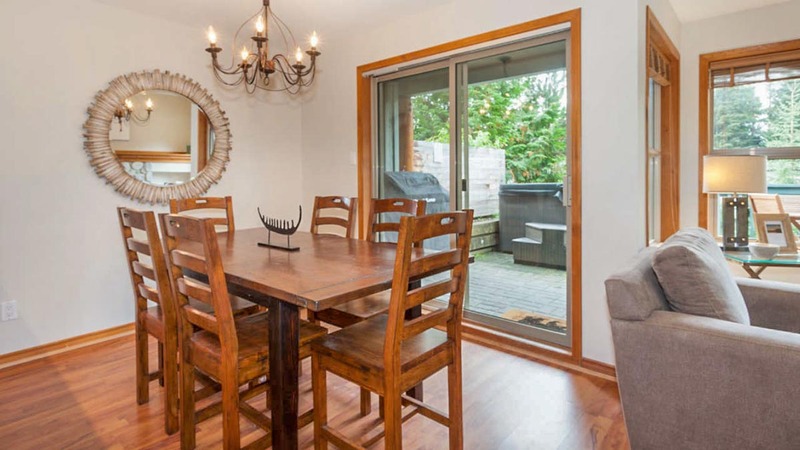 A fully equipped kitchen overlooks the dining area that seats six comfortably and offers sliding door access to a large patio area with barbecue and private six people hot tub. 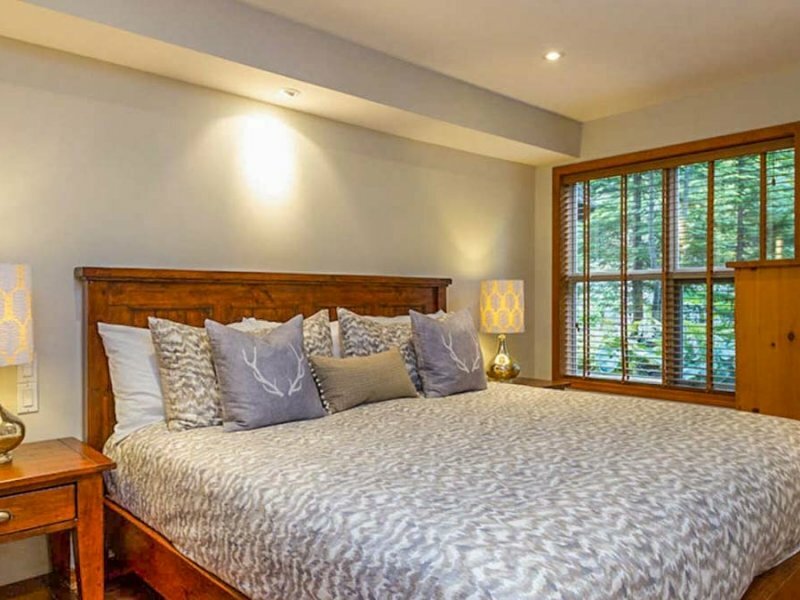 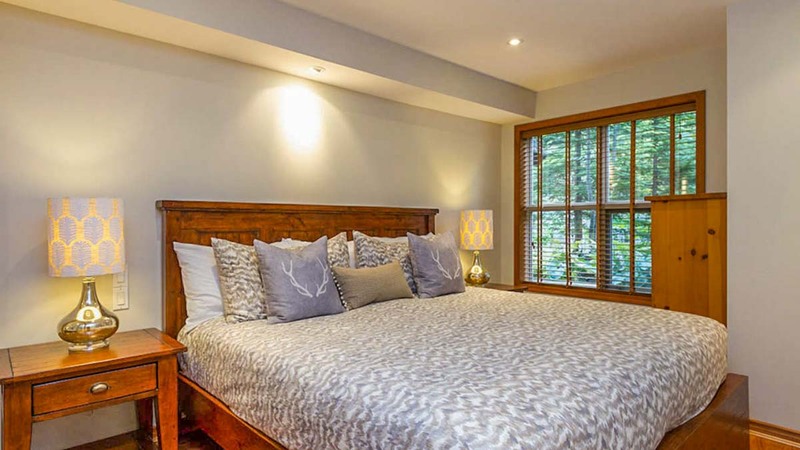 The master bedroom features a king bed, a built in closet, and ensuite with heated floors and jetted tub. 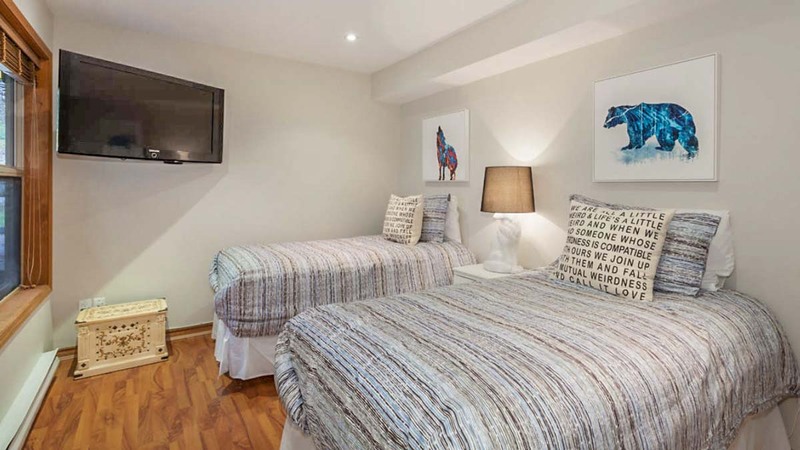 The second bedroom features a king split (2 twins), closet, and flat screen TV. 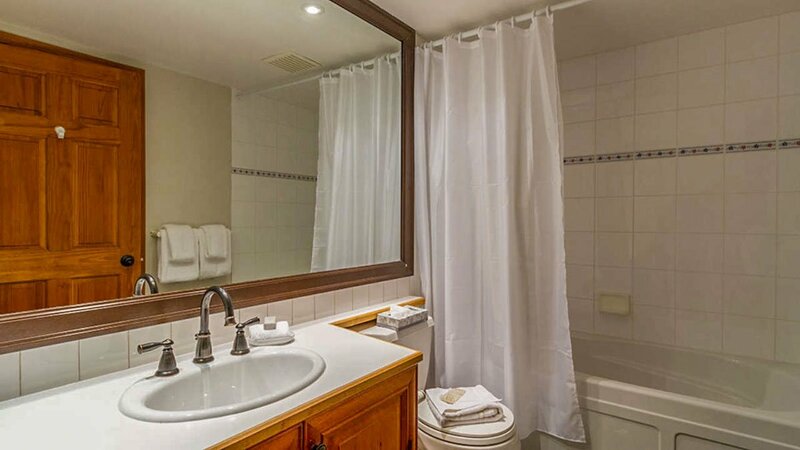 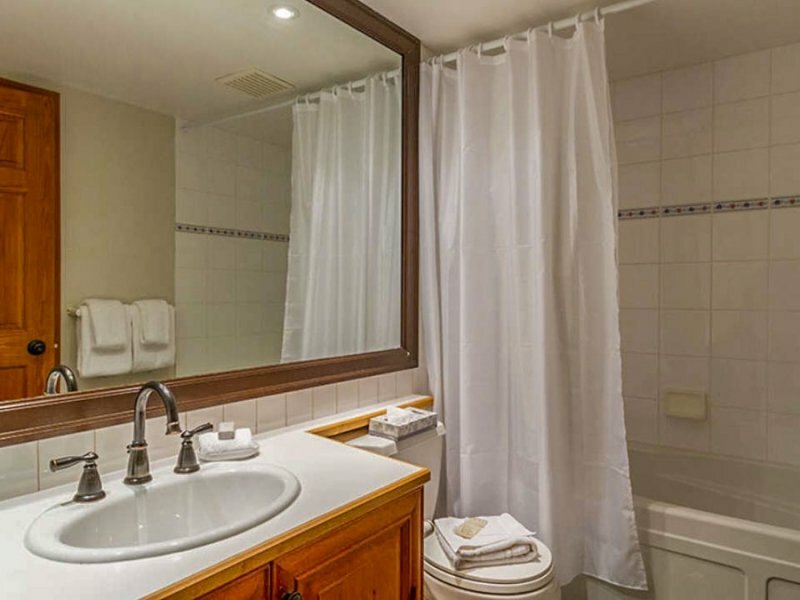 Arrowhead Point 9 features in-suite laundry, heated tile bathroom floors, complimentary underground parking for one vehicle and complimentary wireless internet. 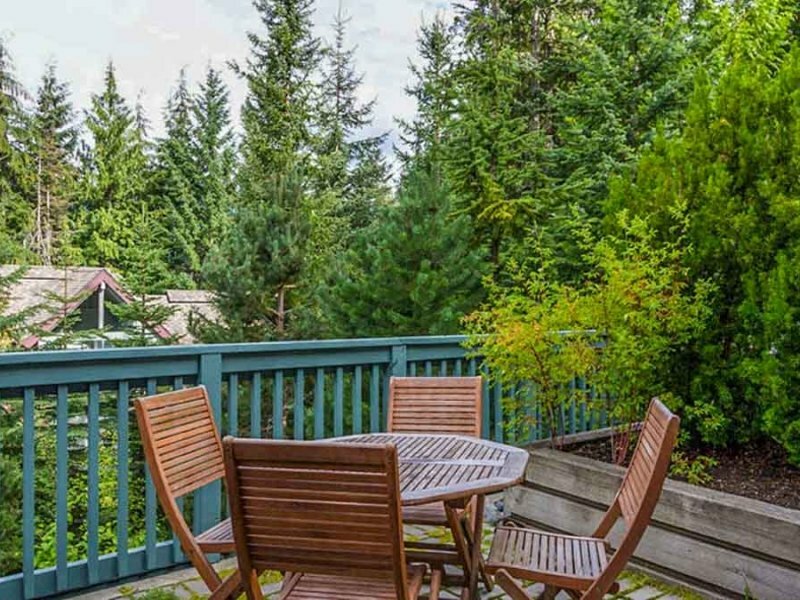 The Valley trail network is easily accessed at the bottom of the road and leads to a nearby network of mountain bike/hiking trails, while the Whistler Mountain Bike Park is a ten-minute pedal away.